This locomotive has a fairly rare dome configuration for the mid 1950s and I’ve been unable to find a suitable lowland match. Therefore she is to become 54495 of Inverness. Actually, at close of play tonight, one side has already been numbered with the other being done tomorrow. 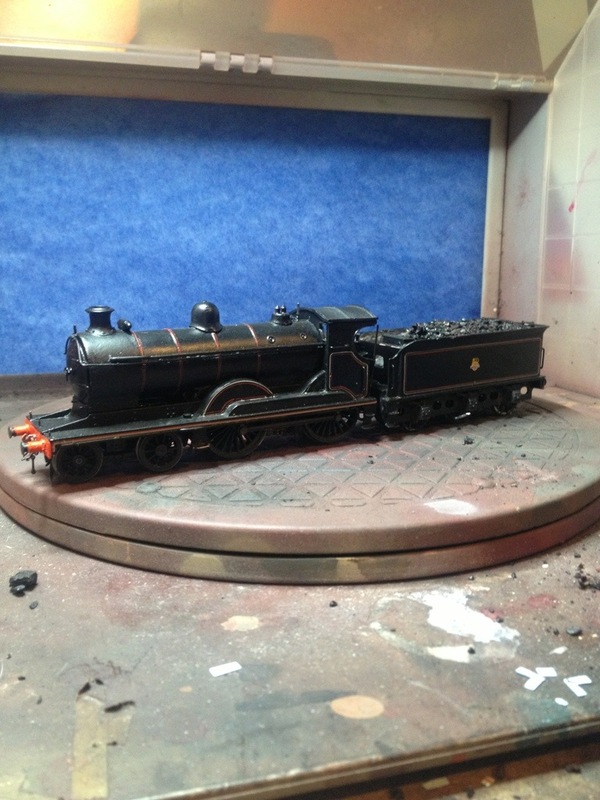 Then the proper work of making her look like a real engine in miniature can take place! That is looking rather nice ! I have a T9 chassis on it’s way via Ebay so I will be copying this soon. I also have the same dome conundrum – my two options (54507 and 54508) both had ‘square’ domes and the kit doesn’t. I must admit my first idea was just to take a big file to the top bit but I’ve not really checked how feasible that is.